Earn $50.09 in VIP credit (5009 points)What's This? 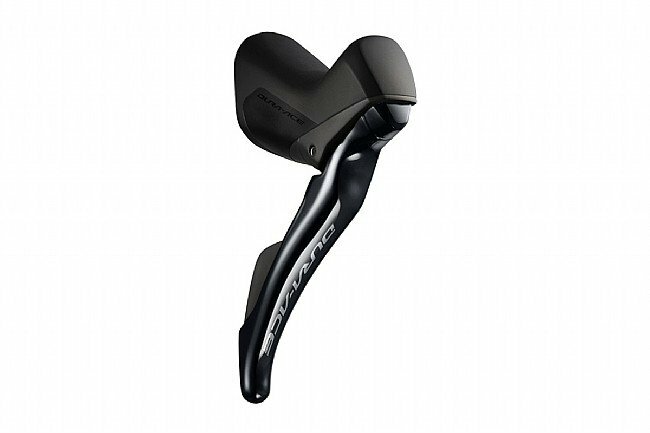 The Shimano Dura Ace ST-R9100 mechanical shifting / braking lever set is race-ready with a shorter lever stroke and more customizable positioning. A refined rubber material on the hoods gives a more confident and comfortable grip, and the reach adjustment has been expanded to provide a 14 mm range to better fit both larger and smaller hands. Compatible with 11-speed cassettes and double chainring cranksets. Includes shifter cables and housing. Dura Ace speaks for itself! There's a reason why these are the Shimano apex. Outstanding, very precise and crisp shifting. The price on BTD was awesome! Have one set on a 2013 Ridley Helium and got this set for a 2018 Helium SLX frame. I recommend using these with Dura Ace rear and front derailleurs. These replaced my previous set of Dura Ace 11 speed levers which ate the cable inside the lever and was (I thought) ruined. The new levers work great and I hope Shimano has upgraded then so they don't eat cables any longer. We'll see. But when new they certainly work well!! !